Travel is the quintessential reason we celebrate life. Embark on a new journey, connect with new people and explore new roads. Like rolling stones, unsettle for monotony and yearn for a mystery that the journey beholds. Climb. Hear your heart in your mind. Drink. From the aura of the mountains. Feast. On the nothingness of the moment. Dig. Through the softness of the sand. Smell. The sweetness of the earth. 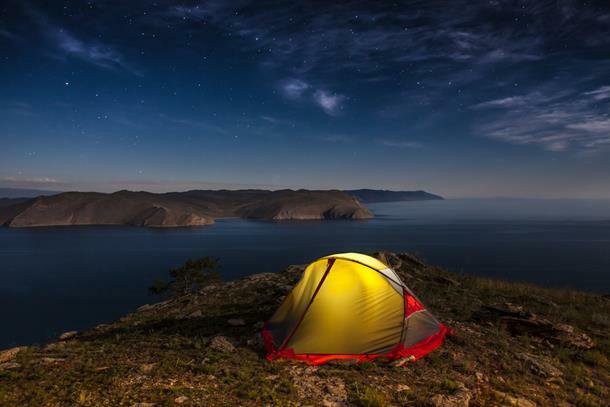 Nail your camp under the stars, under any spot you’d call home. Breathe. Walk. Pause. Moonwalk to a New Year of soul-stirring experiences. Located in Ahmednagar district, Harishchandragad is one of the most fabled forts of Maharashtra. Not only are its stories of trekking and survival famed, but also is the ancient history associated with it. Mentioned in vedas and puranas, it has set off on a time capsule since the 6th century. Getting to Harishchandragad is not a joke. 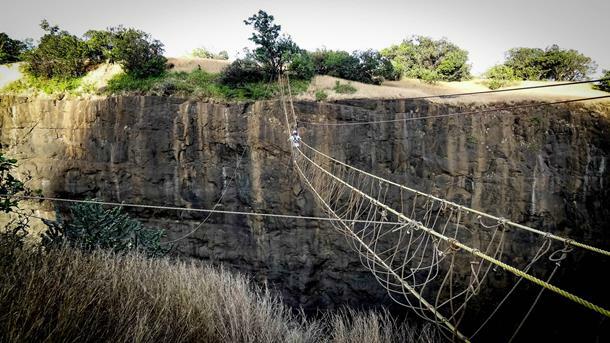 With 7 routes converging here, each route is more fascinating and challenging than other. Taramati, the highest peak here (only second after Kalsubai) breeds stories of leopards. 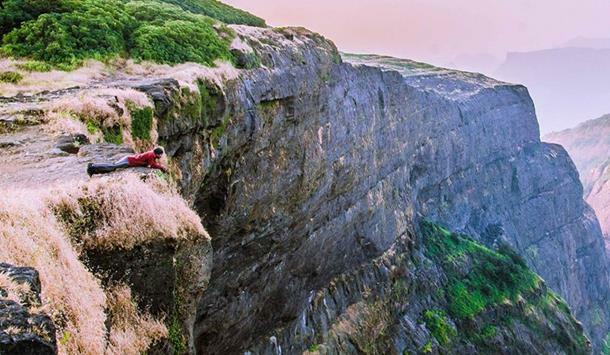 Konkan Kada, a hanging cliff that faces west and looks down upon the Konkan region, is a famous rappelling spot. With an overhang like cobra’s head, it exposes compelling views teetering on the edge of the abyss. 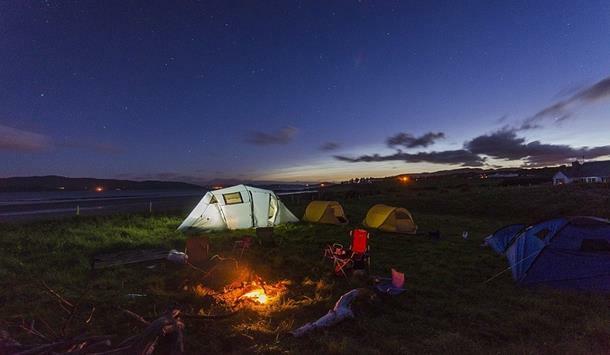 Camp under the stars with the fresh air and breathtaking views to drink upon. Nestled in the Bhandardara region, near the quaint village of Samrad, there resides a ravine carved out of the gushing force of water. Akin to the Grand Canyon, steep rock-cut mountains loom over the magnificent valley, partly barricading it. The resulting darkness led to its alternate name - Valley of Shadows. Trekking the valley is a challenging task where one is required to traverse knee-deep water, rappel the steep slopes and descend the ghastly boulders. And while all that tires you, a starry sky will instantly rejuvenate you. The entire experience is rewarded with compelling views of the Western Ghats. Sandwiched between Matheran and Panvel, the plateau of Prabalmachi is often a base for trekkers moving forward to Kalavantin and Prabalgad. Earlier known as Muranjan, Prabalmachi stands at an elevation of 2,300 feet. It is an excellent spot for viewing fireflies and star gazing. 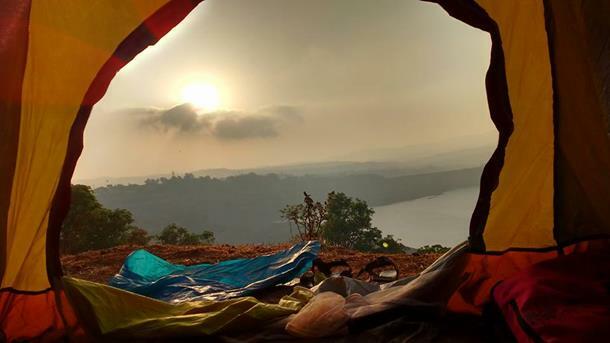 Located about 15 kms from the bustling hill station of Lonavala, camping near Pawana lake is a surreal experience among the verdant valleys and cool breeze. A rejuvenating swim in the lake is all you need to kick-start your new year. 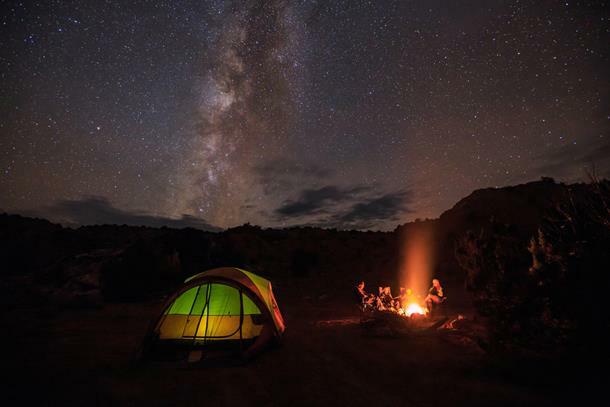 Underneath the starry night, a barbeque sizzles leaving an aromatic whiff around the campsite. As the embers sparkle and burn out in sharp cold evenings, a lively, spirited singing under the twilight adds life to the New Year’s Eve. 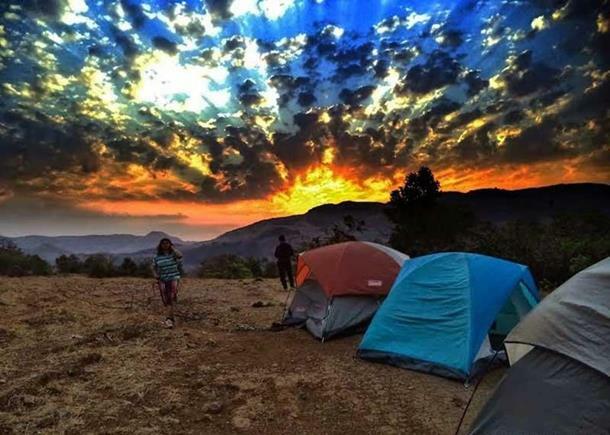 Feast on a campsite situated by the lakes, surrounded by compelling views of the mountains. 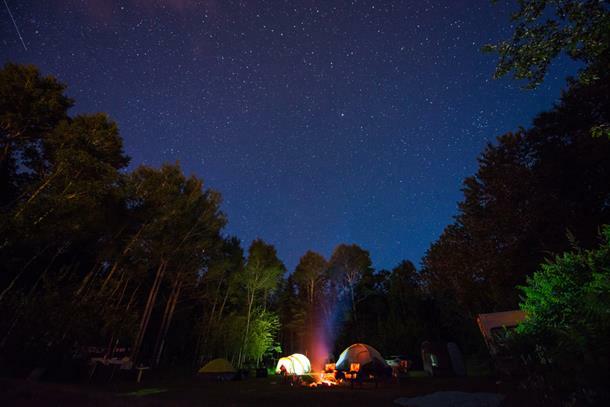 A rickety-rockety trail passing through aged forests will lead you to your campsite. Concealed in the rocky green mountains of Igatpuri, with Arthur Lake and Wilson Dam near the bank, Bhandardara is an undisturbed locale for the NYE. One of the closest spots to Mumbai, Rajmachi is a fort located 315 kms from Mumbai. The Western Ghats flourished with greenery, skirted with emerald valleys and protected by the mighty mountains, shall take you to the base of Rajmachi. 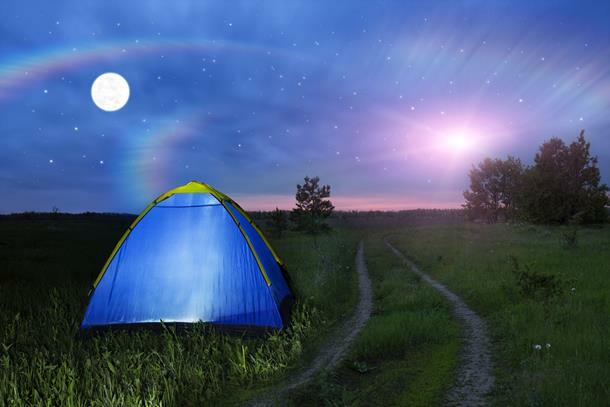 There are three ways to reach your campsite. You could trek for 8-10kms from Pangoli hill, or you could trek from Jambhli Phata to the campsite, roughly 4-5kms. If you love road trips, then you could take a jeep that will transport you straight to the campsite. 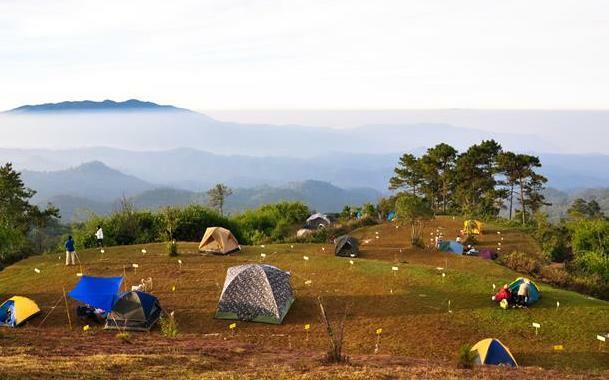 Upon reaching the campsite, interesting activities like rappelling, bird-watching, nature trail, barbecue et al await you. An erstwhile trade route in the Western Ghats of Maharashtra, Naneghat was extensively used to cross routes between Kalyan and Junnar. It was during the Satavahana regime in 200 BC that the mountain pass doubled up as a tollbooth. The cave towards the mountain pass has inscriptions which are a gentle reminder of the era that went by. Owning to its strong trade and commercial value, it got its name - nane meaning coin and ghat meaning pass, together culminating into Naneghat. If you plan to trek, make sure you take at least 3 hours of buffer time to ascend. Naneghat is about 50 kms from Kalyan on NH 222. Along the Vaitarna Dam backwaters, lies a weekend home nestled in an agro farm. 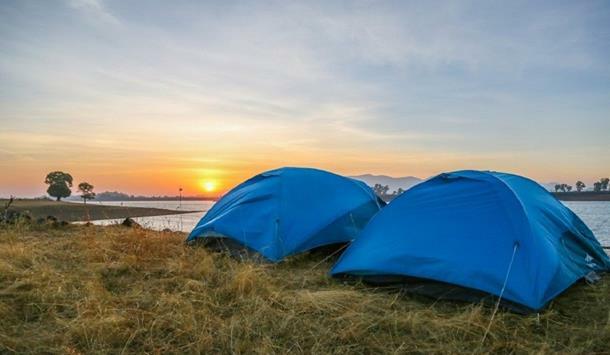 Tents perched on a plateau by the lakeside and bonfire streaming upward towards the sky, NYE at Vaitarna is a night out of a fantasy book. A peaceful celebration beckons you, this New Year. Nestled in the pristine Western Ghats, Panchgani is an abode of nature, evergreen and beautiful! There are several viewpoints that will leave a lasting impression on your mind. The famous Mapro Gardens are a stone's throw away. Go there and try various delicacies made out of specially handpicked strawberries. Savour elegant dishes made at their in-house café. The mountainous terrain of Igatpuri is home to a lot of forts and peaks. Camouflaged among its other sister giant peaks, Kavnai is situated near the village of the same name. After passing a cavern, you will reach its peak. Interspersed with decrepit edifices, temples, lake sand cisterns, the fort bastion still stands tall among the landscape. Kavnai is 18 kms from Igatpuri. Here are some trekking and adventure groups: Trek Mates India, Mumbai Travellers, Mumbai Rangers, Travel Trikon, Mapping Journeys. So where are you flying next for your upcoming trip?